Michigan’s diverse and beautiful landscape, with its natural wonders, quaint college towns, and bustling cities, makes it an ideal spot for shooting a film. In fact, many popular films were shot in Michigan. From thrilling, action-packed blockbusters, to classic comedies and genre-defining horror flicks, we’ve got it all! So, grab your snack of choice and curl up on the couch, because this is a look at 10 great films shot in Michigan! Michael Moore's extensive film career got its start right here, and it got its start with “Roger & Me,” a film in which Moore relentlessly pursued GM Chairman Roger B. Smith in a bid to find out more about GM's layoff of thousands of Flint workers in a bid to save money by using Mexican labor instead. The result would echo through the ages, and portray Michigan as a hard-working state that was falling prey to globalism, themes that continue to be relevant to this day. Michael Bay actually brought shooting of quite a bit of the entire “Transformers” series—aside from, reports note, “Transformers: Revenge of the Fallen”—to Michigan. It's surprisingly appropriate that a movie so much about cars would be shot in the original Motor City, as well as the state that gave us most of our vehicular developments. 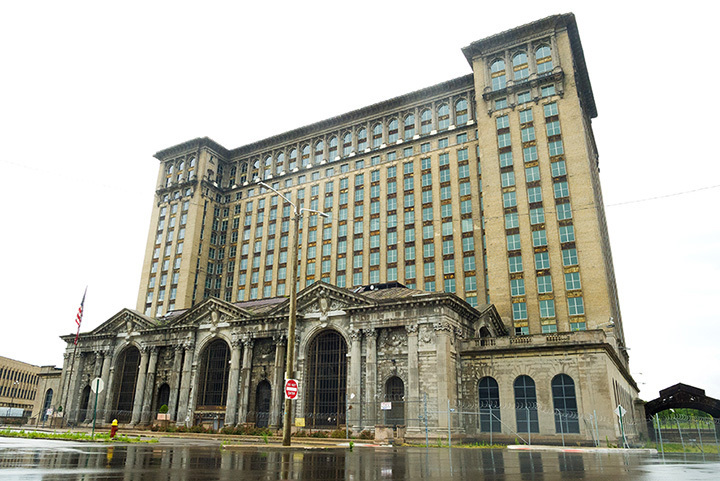 With the original “Transformers” featuring footage from Detroit's Michigan Central station, and subsequent films also including some Michigan elements, one of the biggest eighties reboot series ever made has a lot of Michigan flair. One of Eddie Murphy's biggest movies ever, two out of three “Beverly Hills Cop” titles feature shooting in Michigan. Not surprisingly, heavily featuring Detroit as both background and plot device, this film was both the highest-grossing film of 1984 and one of a handful of titles to spend multiple weeks in the number one slot. It's said to be the third highest-grossing R-rated film of all time, and started an entire trilogy of films that can still make viewers laugh. Sam Raimi's career got its start right here in Michigan, as 1981's “The Evil Dead” seized audiences by the face and refused to let go, leading to horror master Stephen King referring to the film as “The most ferociously original horror film of the year.” Though the actual “Evil Dead” was shot largely in a cabin outside of Tennessee, Raimi started production in Royal Oak, his hometown. The premiere, meanwhile, was set at Detroit's Redford Theater, featuring a variety of tricks that Raimi developed using filmmaker William Castle for inspiration. Sadly, the remake did not return to Michigan, reports note, but rather kept it as a setting. Part of one of the strangest answers to “what's your favorite Christmas movie?” ever, “Die Hard 2” actually owes some of its exciting outdoor shots to the Alpena Airport in Northern Michigan. Alpena was selected because snow was routine there, but the fickle Michigan weather actually briefly bit this production square in the backside. There was no actual snow during the production, so the filmmakers turned to artificial snow for the production instead. The “Red Dawn” remake features some significant changes over its predecessor, like the lack of a Cuban or Russian enemy. Originally slated to feature the Chinese army, the role of antagonist was instead handed over to North Korea so the film could still be shown in Chinese theaters. Red Dawn offered some impressive scenery, and those who want to see it live need only proceed to Mount Clemens to check it out for themselves. Some scenes are said to come from the city of Pontiac as well. The remake of “Robocop,” along with the original, had always drawn on Detroit for a setting, both as Old Detroit and the revamped Metro City. The 2014 remake, however, turned to Michigan for an actual shooting location, going into Detroit and surroundings for some shots. Given that the film also turned to several locations in Canada, including Toronto—which isn't all that far from Detroit—it's not a surprise that Detroit got an appearance here. 1971 was a strange year in film, and one that called for a sequel to “Planet of the Apes.” This made “Escape from the Planet of the Apes” come about in the first place, and the filmmakers turned to a wide array of locations for shooting. It may be hard to believe that Michigan could play a part in such a strange resurgence, but it did. One of the filming locations involved in the shoot was none other than Michigan lakefront jewel Grand Haven. Almost no one thought that “Scream 4” would ever show up. Not all that many thought it was even necessary, but a changing horror film environment seemed to call for a whole new set of “rules,” and thus we got “Scream 4.” Michigan also got a big shout-out in this one, as much of Woodsboro was actually commandeered from Ann Arbor. That wasn't all, though, as the Next Chapter Bookstore & Bistro in Northville served as the bookstore in Woodsboro where Sidney Prescott hawked her book. If boxing robots were your thing, then you'll likely be shocked to find that “Real Steel” was shot entirely in the state of Michigan, though it was set in Texas. “Real Steel” used a variety of locations throughout the state, including the Ingham County Courthouse, the GM Renaissance Center and the Detroit Riverwalk. The “Starblaze Arena” was actually the old Silverdome, and when Atom first took on Metro, he did so at the now-closed Belle Isle Nature Zoo.